OPTIONS CENTER FOR HEALTH AND EDUCATION is a preventative health care and education center celebrating 30 years in business! 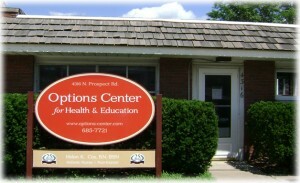 The goal of Options is helping people connect to their innate resources so they can be well and happy. The Health Center offers programs preventing illness and regenerating the body to its maximum potential. The services focus on tests and assessments that can detect trends sometimes many years before symptoms start and diagnoses are made. Lifestyle changes, nutritional programs and supplement protocols are often recommended. Helen Cox, as a health coach, is an advocate of preventative health care and often uses the modalities of hair analysis, iridology, herbology, nutrition, homeopathy, kinesiology, and other natural health arts such as Touch for Health, Brain Gym® acupressure, deep relaxation, and guided imagery. The Education Center offers student evaluations (ages 3 to adult) that specialize in how information is received and processed in the brain and body. After evaluating the individual, a program is offered of specific exercises that include Brain Gym® and other exercises. The individual seeking assistance is usually a student that has difficulty processing information (visual, auditory and/or motor). Helen performs a comprehensive assessment using tests that provide information about the status of the individual’s brain function. In particular she looks at metabolic tendencies, neurological integrity, toxic metals and academic learning skills. With this information she then creates an individualized treatment program to normalize brain function. The heart of this learning program is how to improve and augment one’s cognitive functioning to its greatest capacity and to educate students and families about methods that can last them the rest of their lives. Workshops for educators are available. Realizing you are a loved, valued and unique individual with all of life’s energies available to you is the most powerful prescription you can give yourself.